Patty Capaldi works in various forms of print media—digital imaging, photo, printmaking, multiples, drawing, installation and artists’ books, to investigate how ‘nature’ is assigned value. She works with the cultural overlay placed upon the natural world, questioning idealized notions of beauty and the sublime. She received her M.F.A from Massachusetts College of Art & Design and a B.F.A from Minneapolis College of Art & Design. Recipient of 1999 New York Foundation for the Arts Fellowship and the Lily Auchincloss Foundation Award in printmaking/works on paper/artists’ books. Capaldi has received fellowships from the MacDowell Colony, Banff Centre for the Arts, Millay Colony, Virginia Center for Creative Arts, Santa Fe Art Institute, Ragdale, Kunstlerhaus Residency, Salzburg, Austria, A.I.R., Vienna, and Oberpfälzer Künstlerhaus, Schwandorf, Germany. 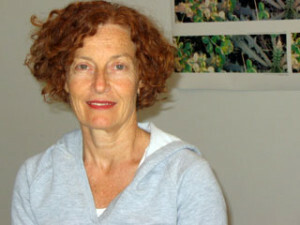 She has shown nationally and internationally in solo and group exhibitions including Metaphor Contemporary Art, Brooklyn; University of R.I. Fine Art Gallery, R.I., Cardinal Stritch University, Milwau- kee; CEPA Gallery, Buffalo; Photographic Resource Center, Boston; Bernard Toale Gallery, Boston; M.I.T. Hadyn Gallery, Cambridge; Huntington Gallery, Massachusetts College of Art, Boston; Nylon Gallery, London; Joseph Carroll & Sons, Boston; Pieroggi Traveling Flatflies, Brooklyn; and most recently the Islp Art Museum, NY and East Stroudsberg Univerity Gallery, PA.
Work instated in the Flatfiles at Pieroggi 2000, Brooklyn; Joseph Carroll & Sons, Boston; and the Drawing Center online viewing program. Academic appointments include Massachusetts College of Art, Rutgers University, New School University, Fordham University and New Jersey City University. Capaldi has also worked as a freelance graphic designer in some of the country’s leading editorial art departments including Random House, Harper Collins, FSG, WW Norton, Scholastic, Martha Stewart Living, Marie Claire, and MIT Press. 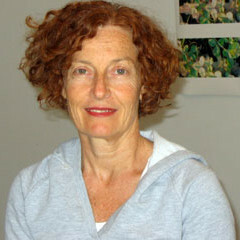 Capaldi is a interim professor for graphic design at Bloomsberg University. She lives in Brooklyn, NY.